The venue was perfect. 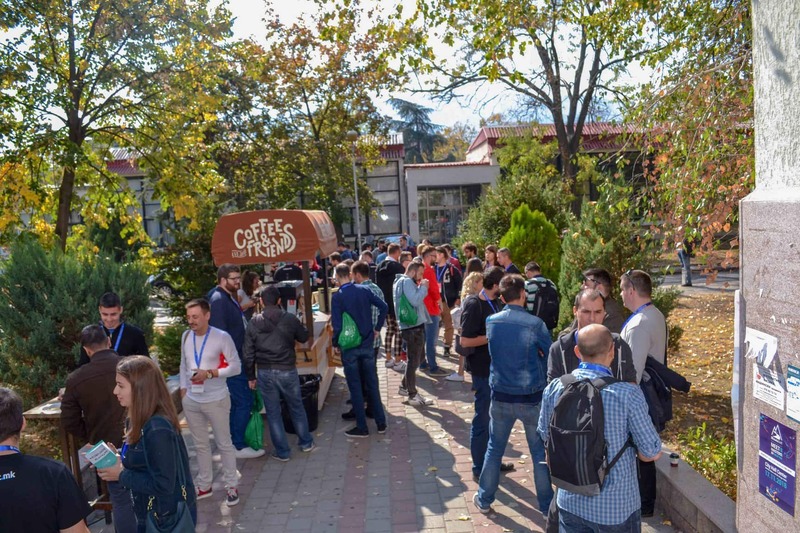 Just a stone’s throw away from the iconic Vardar River, it played host to 150 WordPress enthusiasts, innovators and experts. The food and drink flowed along with insightful conversations about all things WordPress. The atmosphere was absolutely buzzing. 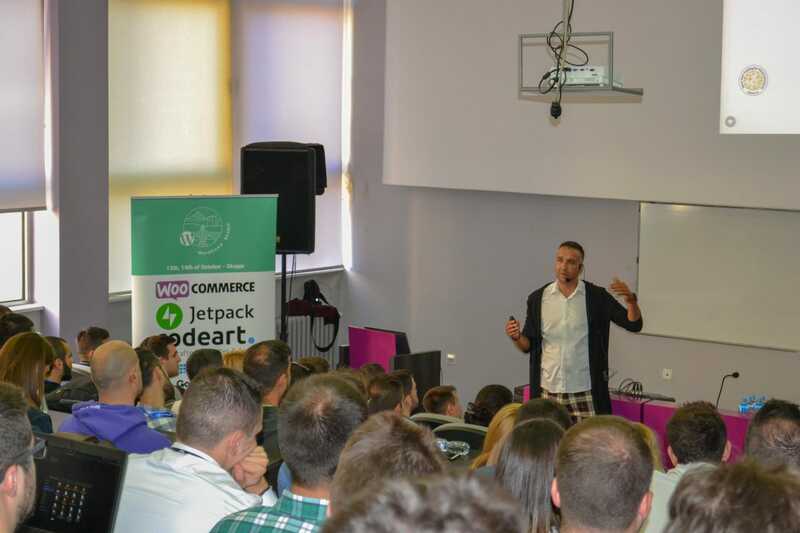 With the WebPigment team in town, Mitko kicked off the event and embarked upon an unforgettable experience. Mitko and the master of ceremonies, Andrej, took the floor to give thanks to the sponsors and greet the attendees. After a slight glitch with the projector was resolved, (hey, it wouldn’t WordPress without a little technical tinkering!) it was time to get things rolling. Each talk was a revelation. The range of topics and the variety with which they were covered was astounding and there was never a dull moment. Whether you were engrossed in a technical presentation or sharing ideas in the interludes, a warm feeling of community permeated the halls. 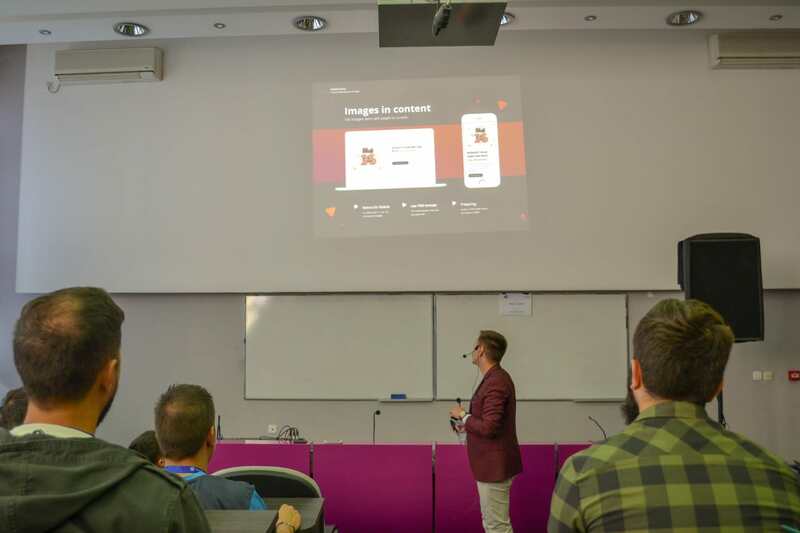 The first speaker – Oliver Lazarevikj – was a designer and UX/UI specialist. He sought to expand our ideas of mobile mediums. There’s so much more to it than simply squeezing a desktop site into an app or mobile website. Oliver stressed the importance of design and layout, optimising screen real estate, and all round usability. “Simplicity” was the keyword in this presentation. Oliver had us thinking in broader terms – and that is no bad thing. The product should be accessible to the everyman. One finger usage trends, flat designs and adaptable images were all touched upon. He also explored the future of animations and how big businesses are likely to harness the power of the mobile in years to come. It was a riveting opener and whetted our appetites for the rest of the event. Darko is a man with longstanding ties in the IT world. He first started testing websites in 2006 and has been honing his craft ever since. He truly lives and breathes software. There was a large focus on the technical aspects of development. He spoke about the importance of caching – both within and outside of the code. 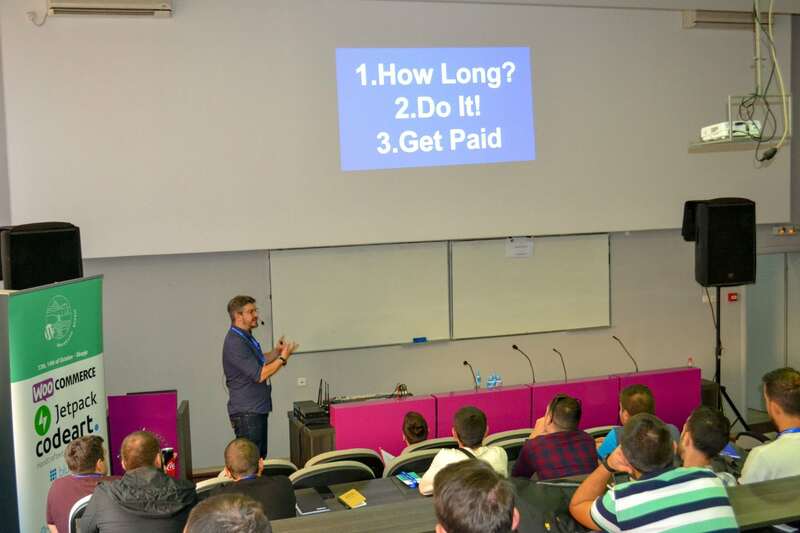 His insight into scaling was very enlightening and we all came away armed with more WordPress know-how. Now this was a lot of fun! Boban and Stefan were an awesome pair and they gave us the chance to get really stuck into their presentation with a lot of audience interactivity. Themes are such an integral part of WordPress and it was great to hear about their experiences developing premium themes. They were well qualified to fill us in – they have some of the best-selling themes on Mojo Marketplace and ThemeForest. 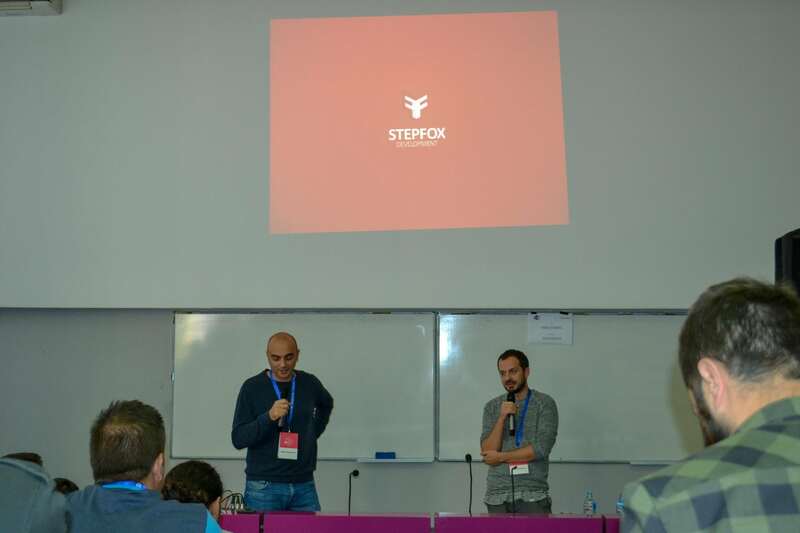 Boban and Stefan were quick to stress upon the competitiveness of the theme marketplace. They suggested finding a niche to minimise the competition. They created an MMA magazine template and it’s now used for almost every MMA publication out there. Again, there was a big emphasis on design. Make your theme flawless because your potential client will just move on to the next developer is they spot holes in your design. And of course, never give up. If you’re going through hell, keep going! 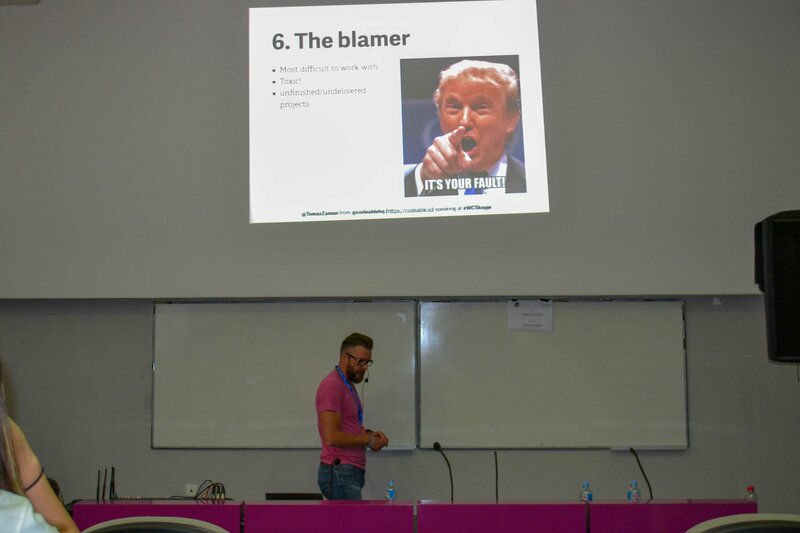 Nemanja’s talk came with a disclaimer: only the very geeky need apply. As technical and niche as his subject was, Nemanja’s pure passion and delivery had everybody hooked. He explained the basics of Docker – why it is useful and how to set it up in your Local Environment Machine. 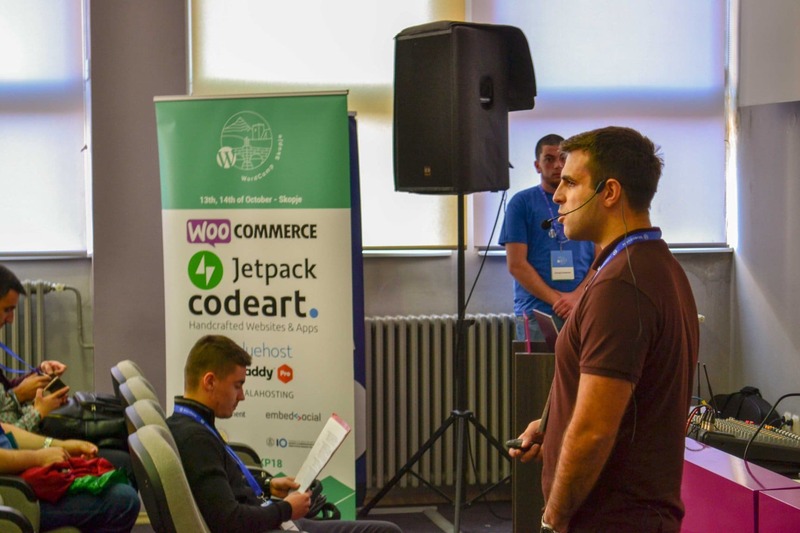 Nemanja soon went into more depth and the audience heard about Docker’s many integrations and implementations, and how this system can greatly improve our WordPress code. 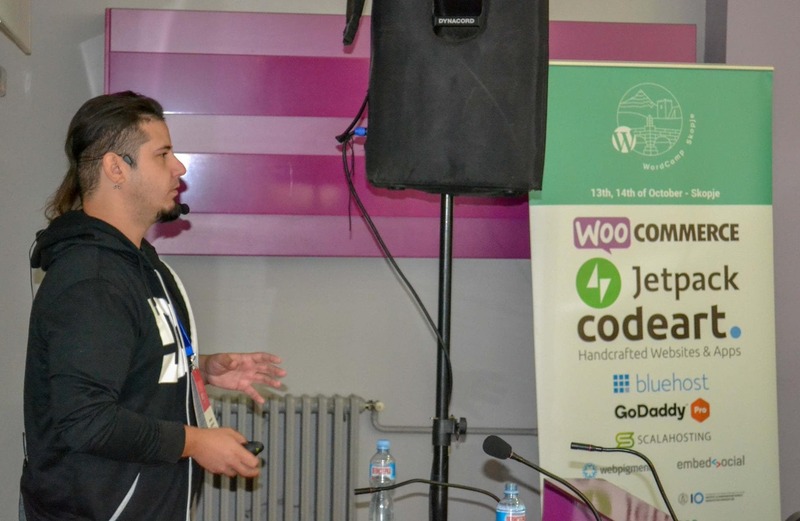 For Nemanja, WordPress is so much more than a platform. It is an idea – a cause. This was something everybody could get behind and a somewhat specialist subject spoke volumes for all to hear. Like many of us, Aleksander fell in love with WordPress as soon as he saw it in action. Over the 12 years he’s grappled with it, his process has constantly evolved and he instilled in us the idea that a web developer must adapt as the landscape transforms. Aleksander pointed out the importance of company culture in relation to Agile. Having a strong ethos isn’t enough, though. You need to ensure that ethos is understood and championed all the way through the company. The most important element in this equation is, of course, management. A top manager needs to make the employee understand the company culture and at the same time, know how to implement methodologies such as KANBAN and SCRUM to scale the work in timeboxed sprints. If you establish a strong company culture from the ground up, your business is bound to thrive. But it’s also crucial that your employees are clear and confident in their specific role. A good support network via their managers and colleagues will keep everyone happy and heading towards a common goal. Gere is a diplomat by trade and a President/Project Manager of Skopje Poster Festival. He began by asking us to close our eyes and meditate on what we saw. It was nothing – just an empty abyss with no end. This, Gere told us, is how he felt when he first encountered WordPress back in 2014. He persevered, though, and has achieved some truly great things with the help of WooCommerce. That’s not to say he didn’t hit some brick walls along the way! 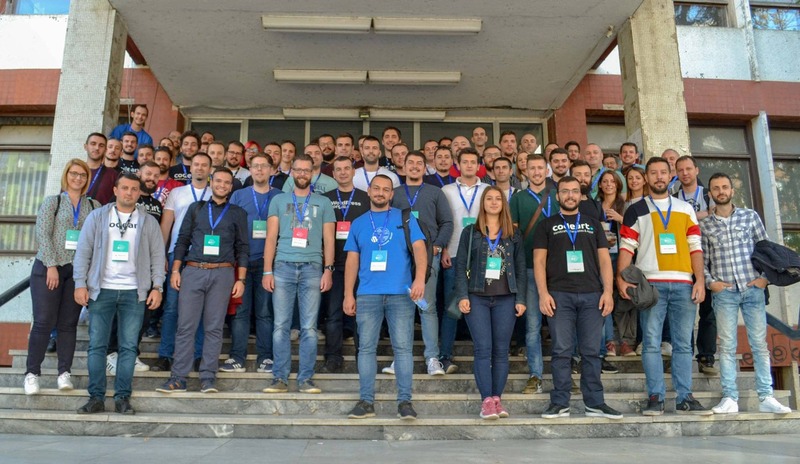 One of his biggest challenges was setting up an eCommerce system in Macedonia to sell products abroad. The problem was making his system comply with the banking infrastructure. Enter: WooCommerce. This incredible platform helped him see the light and he went on to realise that its scalability is limitless. This epiphany gave Gere the power to achieve great things and he has the design awards to prove it! For his next feat, he will be developing an app to improve accessibility for disabled people in major cities. This announcement moved the crowd to a rapturous applause and rounded off an inspiring talk. Nikola is a pillar of the WordCamp Serbia Community, a WordCamp Europe organizer, WordCamp Belgrade organizer, founder of WP meetup in Sombor, and host of the Belgrade WP meetup. But above all, he is a proud Macedonian son-in-law and that’s how he finds himself returning to Skopje time and again. He is deeply entrenched in the WordCamp community and it all started with the first translation on Japanese. 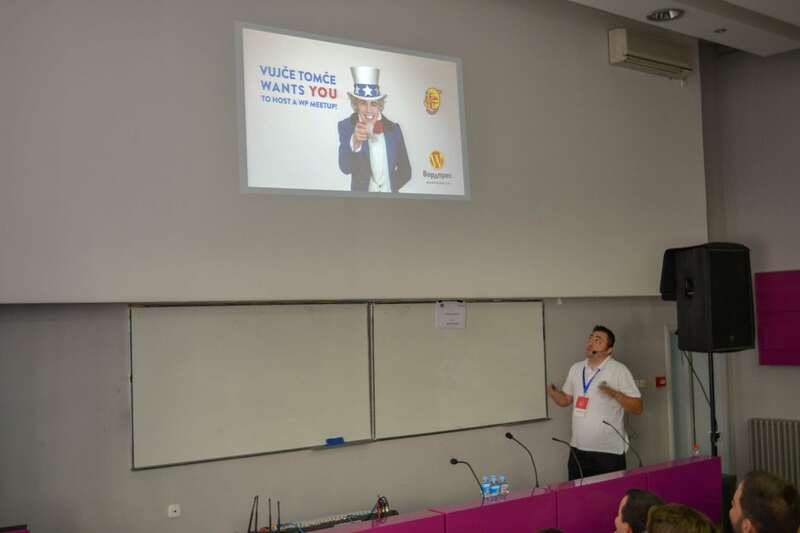 Once he was exposed to the power of the platform, he set about organising WordCamp meetups in Serbia. 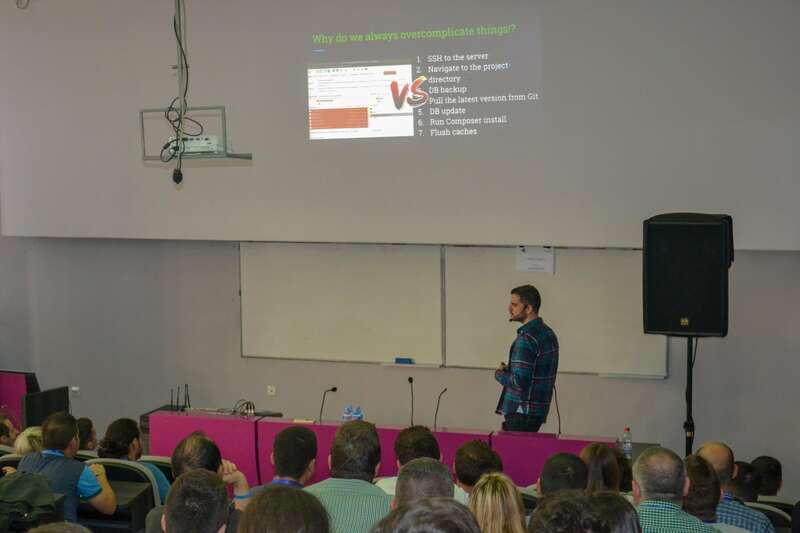 These meetups snowballed and now he is a primary WCEU organiser and revered public speaker. The essence of Nikola’s talk was community. WordPress is an enormous entity and can be intimidating at first. What’s important to remember is that even the smallest contribution – a translation, say – adds to the platform as a whole. His sense of global ambition shone through in his presentation – a perfect stop off to grab some lunch and get to know each other! Vladimir is a major player in the IT industry. A CTO by vocation, his specialty is developing powerful apps that can handle seriously heavy traffic – we’re talking millions of visitors. 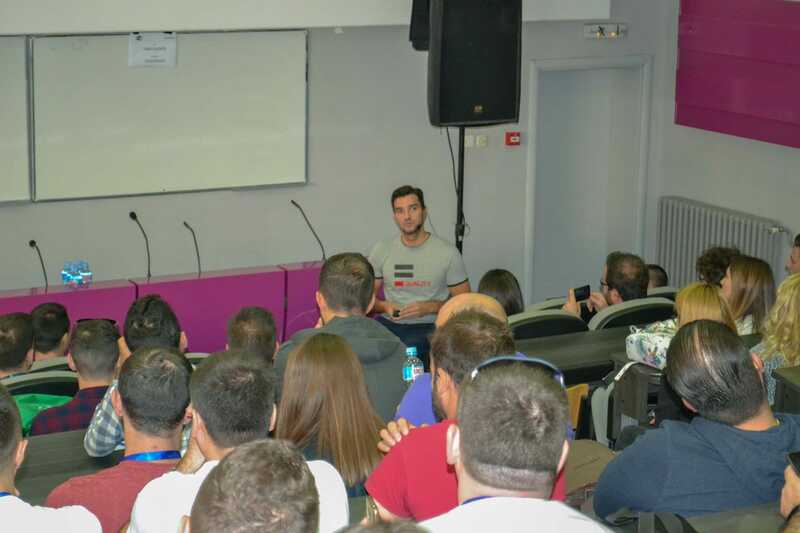 He created the very first Macedonian apps for Android – MKD Denar and Skopje Taximeter. As you can imagine, his talk was focused on scaling WordPress websites for high traffic. The trick here is knowing how to automate the deployment process. Vladmir showcased the building of a WordCamp website, deployed with GIT. He then showed us how we could resolve server issues during traffic spikes using a Capistrano implementation with an NGINX configuration. This was a very hands-on presentation and it was an effective way for Vladmir to get his points across. We all came away with a deeper understanding of efficient deployment. Milan is another staunch figure in the WordCamp world. He is the global wordpress.org translation editor, the WordPress Serbia Leader, a member of the Theme Reviews and Community Get Involved teams, and one of the chief WordCamp Europe organisers. 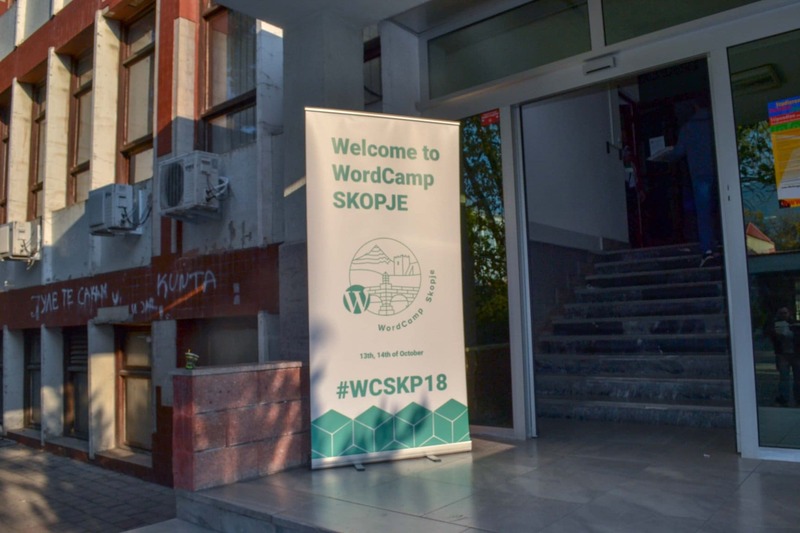 He took us through a recent history of WordCamp, starting in Belgrade 2013, through to Vienna 2016 and finishing with this very iteration of the wonderful event. He then took us back to his life-changing first WCEU back in 2007. Since that fateful event in Oslo, he has been a champion of the WC community and urged us all to keep spreading the word and getting involved. Milan touched upon the next WCEU in Berlin next June 20-22. The theme will be Street Art and we cannot wait! Phil is a seasoned web developer and technical lead. A self-proclaimed “pragmatic technologist”, he has been a major exponent of components – the focus of his presentation. Through decades of experimenting with platforms such as Joomla and Drupal, Phil discovered what he calls “The Holy Grail”. Of course, he is referring to WordPress. He found it to be the perfect platform for component implementation – the key to his success. He told us that the perfect web component will have three vital traits: simplicity, reusability and intelligible comms. Great advice from a WordPress veteran. Tomaz entertained us all by acting out the many different nightmare clients we might encounter. There was the El Cheapo, the Scope Creeper, the Know-It-All and the Impatient. Each incarnation was as hilarious as it was frightening but they all shared a common resolution – communication. By simply creating a clear dialogue, so many client difficulties can be avoided. It’s crucial to establish pricing, the process, and to spell out the stages of project development. Make sure both parties are clear and there won’t be any unforeseen disagreements down the line. Don’t undersell yourself, ensure the terms are clear and never compromise the quality of your work – your business will be all the better for it and your reputation will soon flourish. Ivelina is a WordPress engineer focused on back-end development, deployment and version control systems. 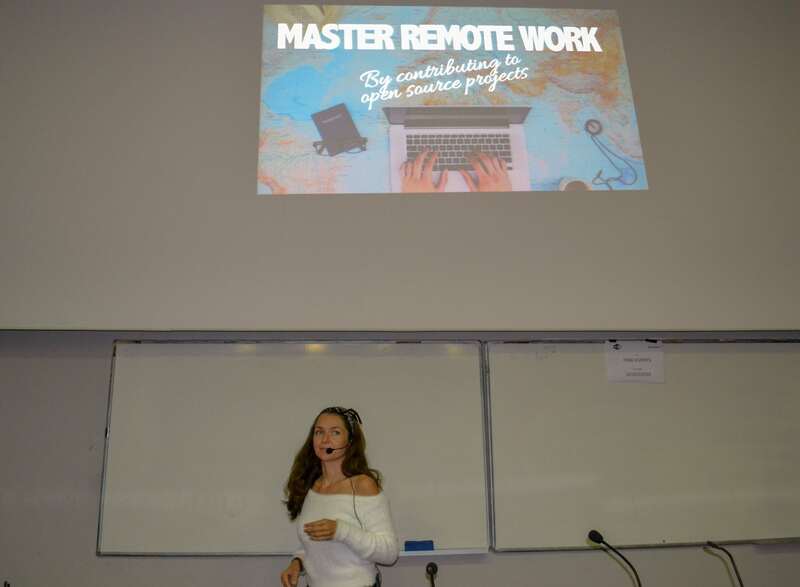 She took to the floor and enlightened us with a bunch of useful tools that streamline the development of WordPress projects. By using tools such as Atom, PHP CodeSniffer, Linter, Gulp and Capistrano, we can automate many of the time consuming processes and devote out energy elsewhere. There are a plethora of tools out there and it’s important not to overload yourself! Just get savvy with the ones related to your work and you’ll find that your efficiency skyrockets. Petya is one of the world-leading WordPress multi-linguists. Although not a developer, her talents as a polyglot allowed her to work with different projects and cultures, translating for the devs. Eventually she found her client-base spread all over the globe. She couldn’t be everywhere at once and now mostly works from home. It can be difficult dealing with the awkward time zones and lack of human interaction, but the freedom is a huge plus. It’s not for everyone but so long as you can stay productive and keep contributing to this fantastic community then keep it going! What. A. Weekend. We can’t tell you what it meant to us to host WordCamp in our capital city. So many new friends and so great to reconnect with all the familiar faces. The after party was a roaring success as well! A huge thank you to our sponsors and each and every one of you who attended. We learnt so much and hope you did too.